Airsoft guns are the replica guns which are primarily used in airsoft sports. They are a low powered version of airguns and shoot a spherical pellet. The bullets used in airsoft guns are known as ball bullets or BBs. The ball bullets used in these guns are made from plastic and biodegradable resins to make these guns as less damaging as possible. Airsoft guns usually have low penetration and stopping power. These are mostly used for sporting activities and combat training. Many gun owners like collecting these low powered guns. Buying an airsoft gun isn’t enough, one must learn to maintain an airsoft gun. Without the right maintenance, the airsoft guns won’t function properly and wouldn’t last long. 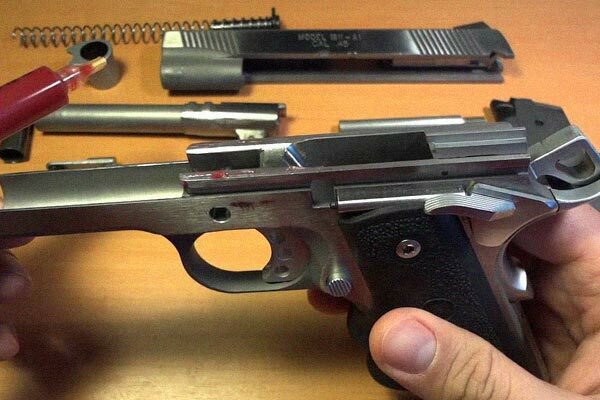 For the best bang for one’s buck, you must learn how to keep your airsoft gun in a pristine condition. One of the most important things that come under the maintenance of the airsoft guns is the lubrication. Be it an airsoft gun or a real gun; all these devices need period lubrication for hassle-free operation and long life. Lubrication is necessary for any device that has moving parts. Every device with moving parts has friction. To reduce the friction and thereby reduce the wear and tear, we must practice lubrication. There has been an ongoing debate in the gun owners community about how over lubricating comes with devastating downsides; there is one thing to note—one must never run his or her gun ‘dry,’ i.e., without lubrication. Here’s an excellent article that discusses lubrication of firearms in depth. The cons of not lubricating and the technicalities of lubrication are clearly explained in it. The bottom line about lubrication is this; you can always work with a dirty gun which is sufficiently lubricated. However, you can never work with a dirty unlubed gun. Lubrication is the key here. In combination with lubrication, one must put equal effort in cleaning their guns as well. Well cleaned and well lubricated Airsoft guns perform excellently and have a long lifespan. By understanding the different types of Airsoft guns available, you can further understand the model specific lubricating instruction. 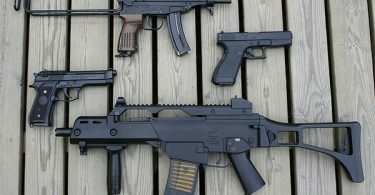 There are three types of airsoft guns—Spring Powered Airsoft Guns, AEGs, and Gas Powered Airsoft Guns. Spring Powered Airsoft guns make use of the spring to shoot the BBs and need to be clocked each time one has to shoot. These guns are incapable of semi-automatic and automatic fire. These are not commonly used in Airsoft games. AEGs are Electrical Airsoft guns that relatively more powerful than the spring powered airsoft guns. The electric motor in these guns helps in shooting the BBs. Both automatic and semi-automatic fire is possible in these guns. Gas guns are the most popular on the market and are widely used in the games and other activities. These make use of compressed gas like Carbon Dioxide as the power source. Refillable gas cartridges are used. Both semi-automatic and automatic models are available as well. 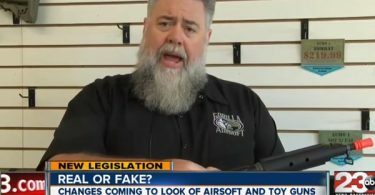 There is a common misconception among the gun owners that these airsoft guns need to be lubricated with the standard WD-40 gun oil. These guns need to be lubricated with high-grade silicone oil. If you prefer using any other gun oil apart from high-grade silicon oils, your gun will be undergoing extensive corrosive damage which is highly undesirable. The most important rule in lubrication— always uses high-grade silicon oils. The gearbox and the hop up are the components of your airsoft guns that need to be lubricated. Lubrication of the airsoft guns will be different for the AEGs and Gas Airsoft guns. As the most widely used types of airsoft guns are the AEGs and Gas guns, we will be discussing lubricating these both guns in specific. Before you begin lubricating your airsoft guns, you must do two important things. Remove the magazine from your gun and fire it a couple of times to ensure that the hop of your gun is free of BBs. Afterward, you must check your cleaning rod. The gun barrels need to be cleaned in cases where the flight of your BBs deviates vertically. Therefore, check the cleaning rod and barrel before you start lubricating your gun. This article about lubricating AEGs and Gas guns with pictures is a helpful visual guide. As discussed above, your AEGs must be fired three to four times in semi-automatic mode after removing the gun’s magazine to make sure that the gun is free of BBs. Once you’re done doing so, place the gun upside down in your lap and spray the silicone oil one to two times in the hop up. Don’t use too much of oil and use it in sparing amounts. Over lubricated guns with their evils. In most of the cases, the gearboxes are sufficiently lubricated. But if your gun is whining, then remove the motor and spray the oil into the hole underneath the gearbox. Spray three to four times and leave the gun upside down for a few moments so the oil will do its work. The mags of these guns need to be occasionally lubricated. With the right amount of lubrication, you prevent the premature aging of the gas cartridge or any leakage. To lubricate the mag, you must spray silicone oil into the port existing on the top of the mag. For lubricating the fill port, the magazine must be held upside down, and the tip of the spray tube must be inserted into the fill port, and it must be sprayed one or two times. Leaving the gun upside down for a few moments will allow in spreading the oil and settling it down. In few cases, the mag’s gaskets need to be lubricated as well. One has to spray at the point where the gasket comes in contact with the gas cylinder. Once you’re done lubricating, you have to wait for a minimum of fifteen minutes before testing your gun. For a smooth, long-lasting and perfectly working firearm, one has to clean and lubricate the firearm periodically. Basic maintenance is a must. This YouTube video is an excellent source for understanding how to lubricate your airsoft gun.